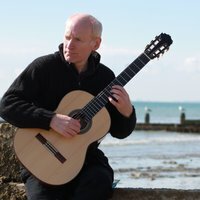 Outstanding learning and performing opportunities for classical guitarists of all ages (16 and above) through repertoire and technique classes, ensemble playing, guitar orchestra, student concerts, individual lessons and solo masterclasses. Working with internationally acclaimed artists you will study in an ensemble group according to your level (Grade 2 and above). Includes a guitar open day and an evening concert series with performances by Fabio Zanon, Crazy Nails (Gaelle Solal and Boris Gaquere), Raphaella Smits and Eden-Stell Duo. Bursaries are available for 16 to 24 year old students - please contact the Bookings Office for further details. Sponsored by Classical Guitar Magazine, Classical Guitar Centre Birmingham, D'Addario Foundation, Universal Edition, José Ramiréz Guitars and Stephen Eden Guitars. 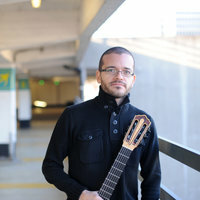 Sponsored by Stephen Eden Guitars, Classical Guitar Magazine, Classical Guitar Centre Birmingham, D'Addario Foundation, Universal Edition and José Ramiréz Guitars. 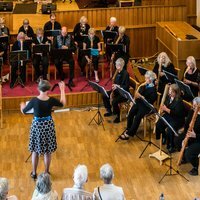 The 2019 Festival includes an intensive timetable of events and instruction in a wide range of areas; repertoire classes, ensemble performing, guitar orchestra, individual lessons, 'Learning Zones', and solo masterclasses. A full list of the learning opportunities can be found in the outline programme on the course page. 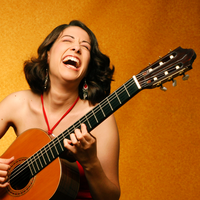 For full details, including evening concerts, accommodation fees, and options, please go to the International Classical Guitar Festival Information page. Several evening events are planned throughout the week, a detailed timetable for the festival week will be given to you on arrival. Residential students to arrive from 2 - 3.30pm, non-residential students to arrive by 3.30pm. 4pm: Welcome and introduction, attendance is essential. 5pm: First teaching session, followed by dinner (included). Evening working - students may have access to teaching rooms, but only with their tutor's permission and provided any health and safety guidelines are observed. Classes 9.15am - 2pm, lunch is included. Residential students should vacate their rooms by 10am please. The Festival programme, with details of all concerts and performers. Please complete Musical Details form and send or email it to the Bookings Office on confirmation of your booking. You should bring your own guitar, music stand, foot-stool/guitar-rest, and a selection of current repertoire to use in lessons and repertoire classes, and for performances in the student concerts. The Festival begins on Saturday 24 August at 4pm. Please arrive and register between 2pm and 3.30pm (before tea). If you wish to arrive in time for lunch on Saturday, it is essential that you book in advance - contact the Bookings Office. The course ends at 2pm on Thursday 29 August. Please advise us in advance if you need to depart before the advertised finishing time. If you wish to purchase tickets for guests to any of the concerts held during the week, please visit www.westdean.ac.uk/events. Please note: these concerts can be booked from January 2019 onwards. 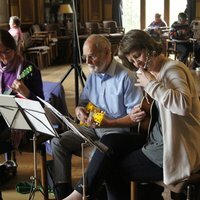 Special Offer: Season Ticket £45 for all of the Guitar Festival concerts and Open Day. 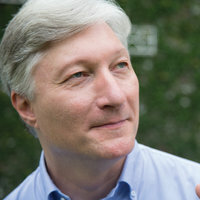 Andrew Gough (Guitar Festival Director) is head of guitar at the Birmingham Conservatoire Junior Department and also teaches at The Blue Coat School and King Edward's School, Birmingham. Boris Gaquere is a Belgian international concert guitarist, chamber musician and composer. Tutor at the Academie de Musique de Watermaël-Boitsfort and Uccle, Brussels. Gaelle Solal is a prize-winning international concert artist and teacher from France, with a passion for contemporary music and dance. She is also a member of the Crazy Nails duo with Boris Gaquere. 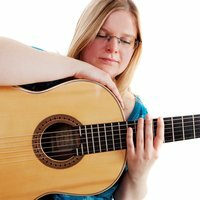 Liz is a concert guitarist with a special interest in chamber music. She is a Royal Shakespeare Company musician, and an experienced tutor and ensembles director. Award and competition winning soloist. 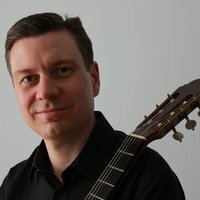 Composer with a particular interest in modern and extended guitar techniques. 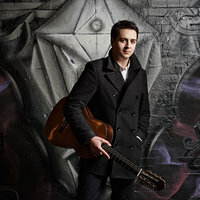 English guitarist Vincent Lindsey-Clark is well known for his compositions for the instrument. 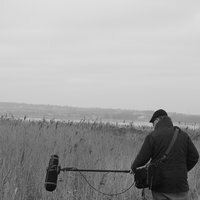 He writes music for both students and professionals, much of which, has been used extensively by the major exam boards and performed all round the world.